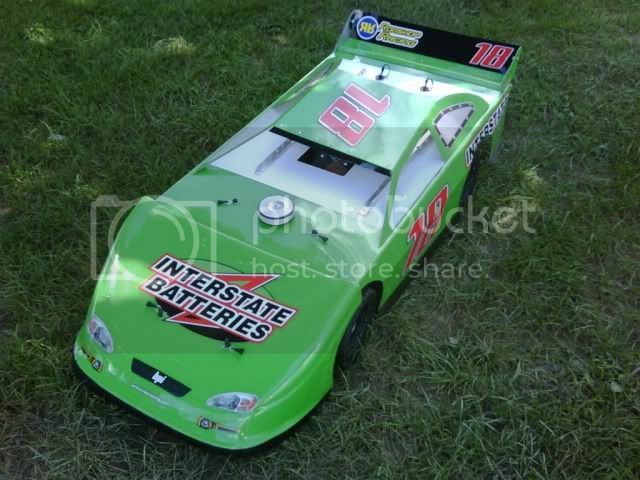 RCO - RC Cars, RC Trucks, Off Road R/C Racing - View topic - I want one of these NOW!! I want one of these NOW!! Losi is Awesome!! Stepping up to the plate and making a 1/5 scale SC truck. This looks like a Bad dude!! Bring it Home Clean Or Bring it Home in a Bucket!!!!!!!!! Re: I want one of these NOW!! DISCLAIMER: No intelligence has either been expressed or implied with this post. If you see red lines under your words, they are possibly misspelled. Offroad is where it's at!! Stalker (or someone) needs to step up and create a Late-model body. Probably could use a 1/4 scale one already in existence. Them puppies ain't cheap! Most 1/4 scale bodies set you back a Benjamin, unpainted! Don't try this at home....I am professional Russian! I will post pictures of mine when I get it painted. Tiny that is just NASTY!!!! !